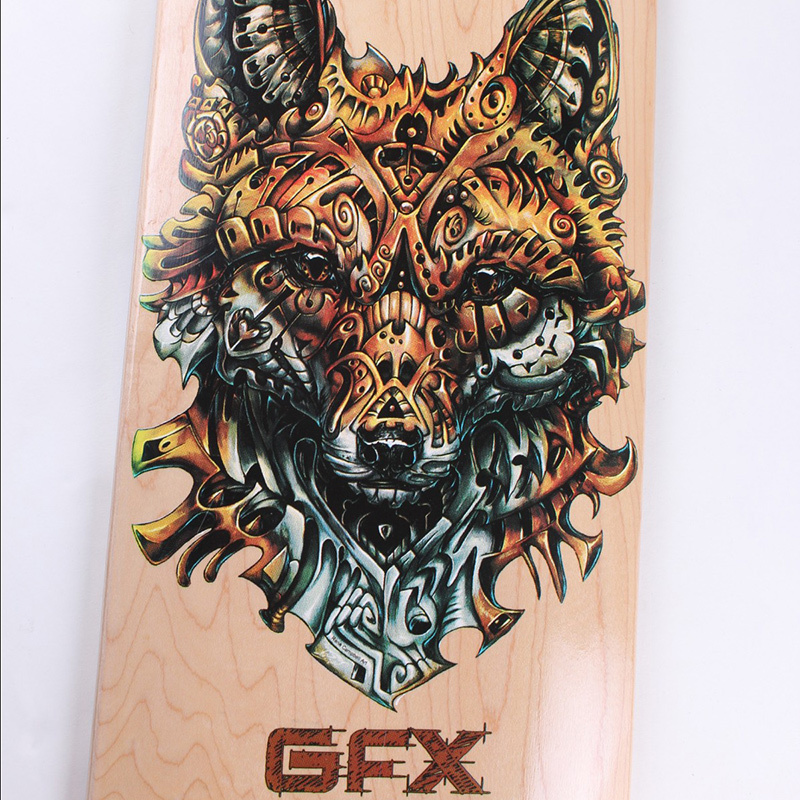 Wow, came across this cool looking drop through longboard with a intricate designed fox. This is very cool and was a great job from a design brethren. Definitely something someone spend a lot of time on. The GFX is a sleep board and the fox is just out of this world. if anybody know the designer, please let me know so I can congratulate him/her in person for the magnificent piece of work on the is much enjoyable longboard.